I'm looking for a scenic float with no rapids to take my uncle down. Class 1 or less preferably within an hour from seatac. 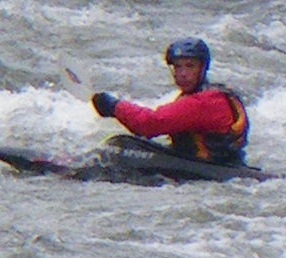 He's over 70 and spry, but really not into rapids. I have a decent tandem inflatable and thought it might make for a nice day to spend out in the sun. Snoqualmie from the powerhouse take-out down to Fall city is nice and close and has water pretty much all the time, and you can take out right in town where there's a bar. Plus you can go take a look at the falls too. Short run though, probably a couple miles? Scenic floats that are pure class I runs might be tough to find in the Puget Sound, as they're pretty much all valley-bottom runs that traverse farms, suburbs, etc. Class II runs will open up the menu a bit. If you are open to class II, the Sky from Sultan to Monroe might bit the bill. Good point about class one runs being valley treks. :( He's got a bum arm and any kind of swim would be rough. The Snoqualamie run might be a good primer to see how he handles stuff. I'm not sure what the Skagit eagle float is.. I'll have to look. I'll have to check out Sultan to Monroe too. We do the Sultan to Monroe pretty often in the summer with the kids. Nice float with riffle rapids. It will take about 3-4 hours if the water is not too low. A shorter stretch would be Ben Howard fishing access to Monroe, about an hour unless you stretch it out by stopping on the gravel bars often. At all accesses you are able to drive right up to the water to launch and take out. Fantastic, thanks for the suggestions.